Is there anything cauliflower can’t do? This amazingly versatile vegetable can fill in for just about anything “bready” – and in the spirit of experimentation, various Paleo cooks have come up with plenty of new and interesting ways to use it. Even if you weren’t craving bagels or pizza or mac’n’cheese before, you’ll probably want these grain-free versions. Paleo cooking: so good it can make you crave cauliflower. How’s that for healthy eating? The quintessential New York food, gone Paleo for a quick snack or side – or pair them with some fat and a protein source to make a complete breakfast. They’d be delicious with an avocado and some lox or turkey slices! Recipe: here (Lexi’s Clean Kitchen). Asian cauliflower fried “rice” and a simpler version from Nom Nom Paleo. Lemon parsley cauliflower “rice” from The Paleo Mom. Oven-roasted cauliflower “rice” from The Clothes Make the Girl. Chorizo cauliflower fried “rice” from Worthy Pause. You could make Paleo pizza with almond flour or with arrowroot starch…or go for a classic with a cauliflower crust. Cauli crust is thin and crispy, perfect for anyone who likes pizza with a nice crunch on the bottom. And since you’re making it yourself, it’s easy and fun to get really creative with the seasonings. Recipes: here’s a dairy-free version, and here’s one with some cheese if you can tolerate dairy (not everyone does; that’s why it’s a gray area food). And just as a reminder: you can also use that crust for calzones, pizza pockets, or just about anything else you’d otherwise use pizza dough for. A big basket of breadsticks can really bring the table together, and they’re delicious dipped in some homemade marinara sauce! Fortunately, cauliflower comes through again with a way to make them Paleo-friendly. Nobody can really pretend that cauliflower is shaped like macaroni, but if you’re looking to dig into a big pile of rich, cheesy goodness, and if a little bit of dairy now and again is fine with you (it’s not for everyone) cauliflower mac is just the thing. It’s got the right toothsome, creamy comfort-food value, and if you make it with cauliflower, it’s even OK for the low-carb crowd. Recipe: here (Grass Fed Girl). Ditch the corn; keep the wrap. 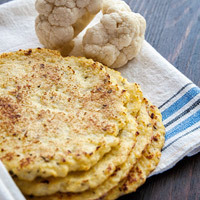 When lettuce just won’t do, these cauliflower tortillas are perfect for wrapping up whatever you need contained for easier transfer to your face. Throw a big pile down in the middle of the table and watch them disappear! The original is made with chickpeas, but you can enjoy a creamy, hearty veggie dip with nary a legume in sight! Try it as a dip for carrot sticks or pepper strips, or with your favorite variation on Paleo crackers. Sure, there’s nothing wrong with actual potatoes – unless you’re on an autoimmune protocol, or don’t like them, or find that you do better with fewer carbs in your diet. For those times, there’s cauli mash. Spice it up with coconut milk, garlic, chives, or other favorite seasonings and enjoy! Alternately, try going half-and-half: replace half the potatoes in your favorite recipe with cauliflower for a slightly lower-carb version that still has almost the same taste. What did we miss? 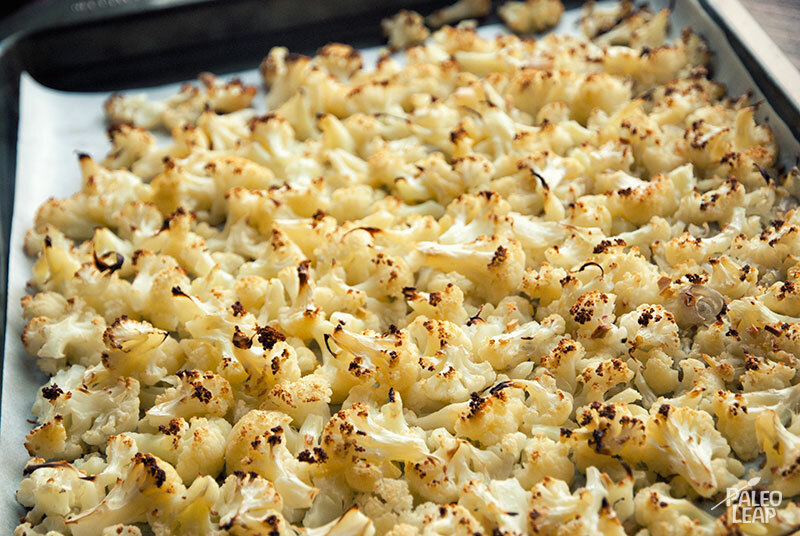 Do you have another favorite cauliflower creation? Share it on Facebook or Google+!